That's something HUGE! 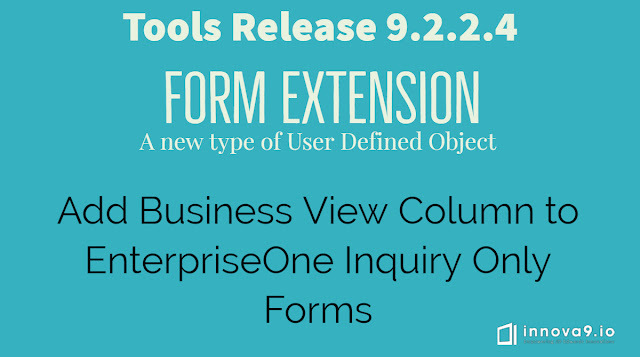 Imagine you - a Business Analyst - with the ability to add fields on forms without the need of a developer! Just imagine the cost savings on development, when sometimes a small change will consume the Business Analyst, a Developer, a CNC, at least 2 package builds and depending on the company, SOX procedures and a bunch of paperwork. Now, things became more simplified: You need that field that's not in the form, just add it. The coolest part now is: you can use it as a query criteria as well as Watchlists, even on One View Reporting! This is not only a field to show data, it's a "live field" that can interact with the EnterpriseOne components. I can't wait to see this working! I'm preparing my lab upgrade and contact us if you want to see this in first hand!